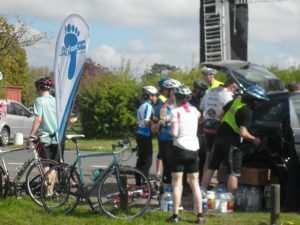 Firstly a big thank you to all our friends at the Bigfoot Cycling Club for organising and leading the annual Hayes to Brighton Bike Ride. In particular thank you to Adam. 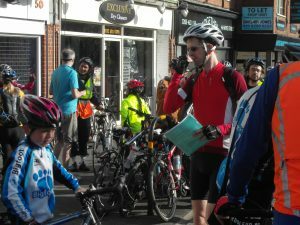 At 8 o’clock there was a mass of cyclists milling outside the now closed Bigfoot Bikes at 50 Hayes Lane. 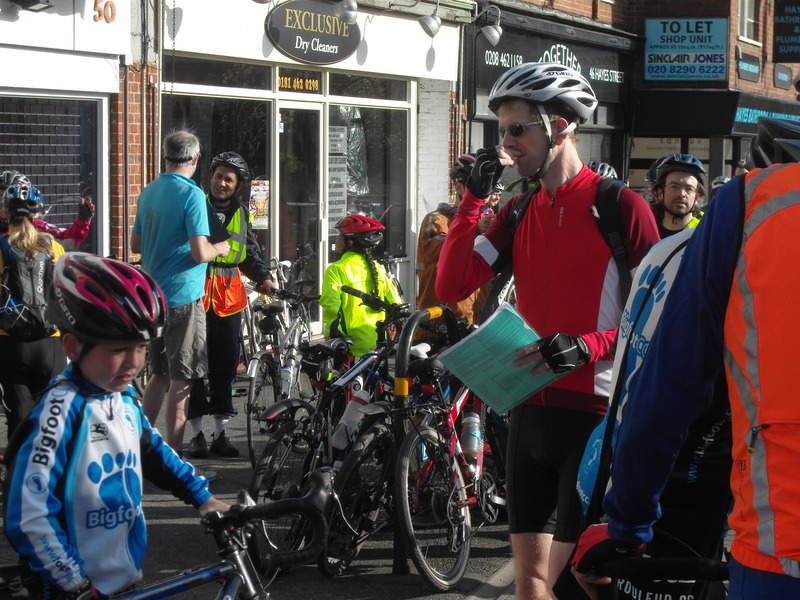 There was also a long queue of motor traffic in Hayes Lane, presumably going to the boot fair. Quite who was going to wring some sort of order from this morass was far from clear. As Bromley Cyclists we were just guests on this ride, this allowed us the luxury of just milling around and letting others take the strain – and this was done with superb efficiency. 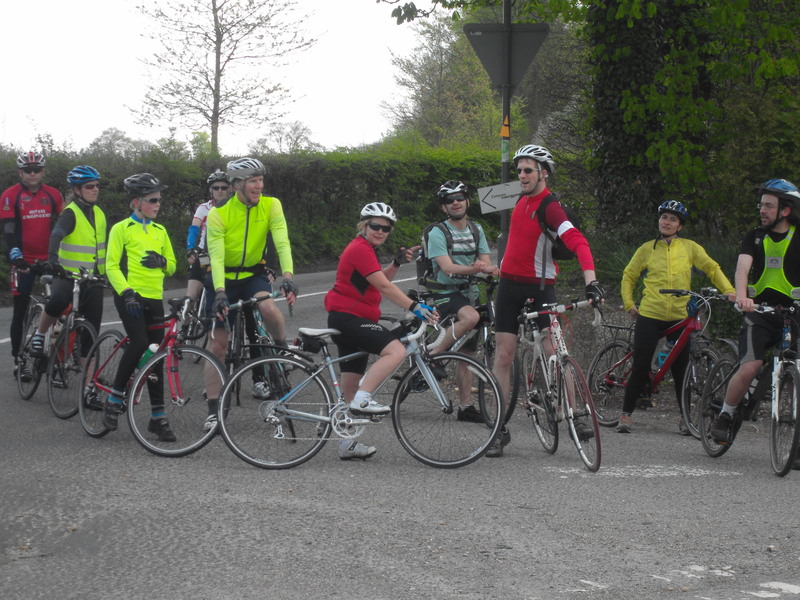 Bromley Cyclists were well represented on the ride although not in the fastest group. There were notable absentees; none shall be named. It was great to see the youngsters out in force; Zamman of course, but also Sannah and Jack too. There were others who’s names I don’t know or have forgotten. I had chosen the medium faster ride. With benefit of hindsight this was a level above my ability; some unkind people say it’s at least two levels above my inability!!! Pete was our ride leader. The morning was quite cool there is still an arctic wind coming in from….? the arctic I suppose. But the big yellow thing long missing from the skies of England was smiling brightly upon us. The worst of fortunes seem better under brighter skies. And the prospects for today were very far from worst. By 8.30 all rides were on the road, an achievement in itself. 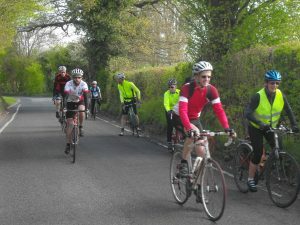 We climbed out of Bromley at a fair old lick and I was soon aware that for me to keep pace it was a matter of head down and keep turning the pedals. Somewhere to my rear I learnt that Linda had suffered a puncture and the repair attempt had failed when the over pumped tyre exploded. Linda’s husband saved her day bringing out a relief bike and getting her going again at Woldingham, so she was able to join the Steady Ride and still enjoy the outing. 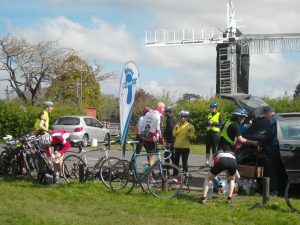 Our first stop, by which I mean proper stop not just a pause for a regroup, was at Outwood Windmill about 20 miles into the ride. The refreshment wagon with a bright fluttering Bigfoot Cycle Club banner displayed welcomed our arrival. We gorged on bananas and flap-jack those staples of cycling and were able to top up with water and energy drinks. There were jelly babies too – heaven! Bananas and Flap-jack – yummy! The organisation was exquisite, though the ladies powder room facility was a little rudimentary!! We were stopped long enough to draw breath but not long enough for legs begin to seize up. 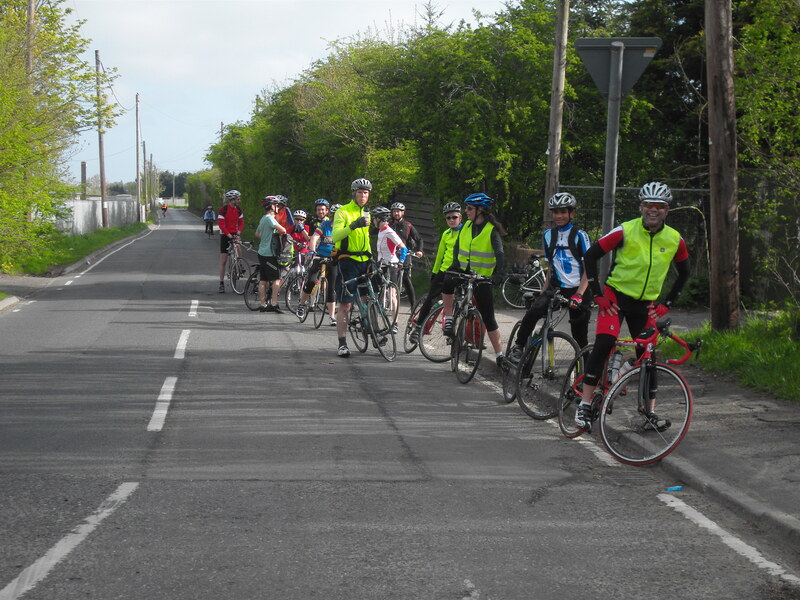 We were however a little nonplussed when a gentleman on a bicycle introduced himself as a parish councillor and warned us to heed to the rules of the road. I am at a loss as to what might have prompted this strange intervention. Particularly against a backdrop of cars roaring through his village at way over the speed limit which didn’t appear to concern him in the slightest. Rather peculiar. I decided to drop down a group here, as did one or two others. I said farewell to Pete and hello to my new ride leader Andy. The pace of this group was far better for me. I like to chat as I ride and at this pace I could do so comfortably. The next section of ride was much flatter so we were able to rattle along at quite a good pace (though it did include the ride up to Turners Hill but this seemed relatively easy today). 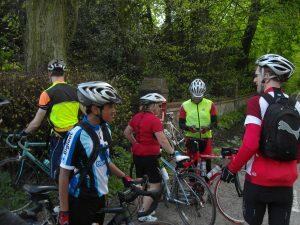 Much of the route was very rural and I recalled bits of it from my very first Brighton Ride in the late 70s. In those days you just pitched up on Clapham Common and joined the ride to Brighton. None of this sponsorship element which in my view spoils so many rides these days and seriously deters folk from joining in – British Heart Foundation and others please note. 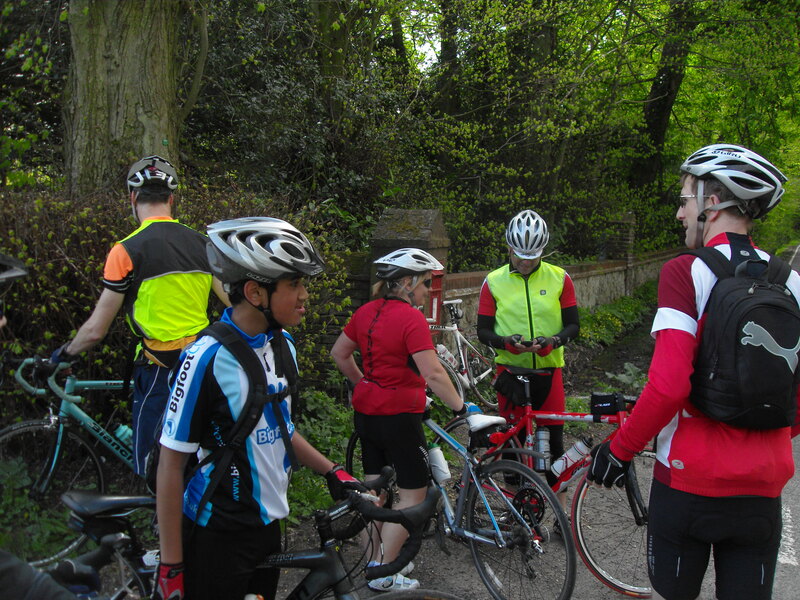 Our next stop was at Staplefield a further 15 miles on. 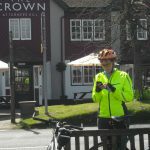 Here we enjoyed the hospitality of the Victory Inn on the Green and a further top up etc from the food wagon. 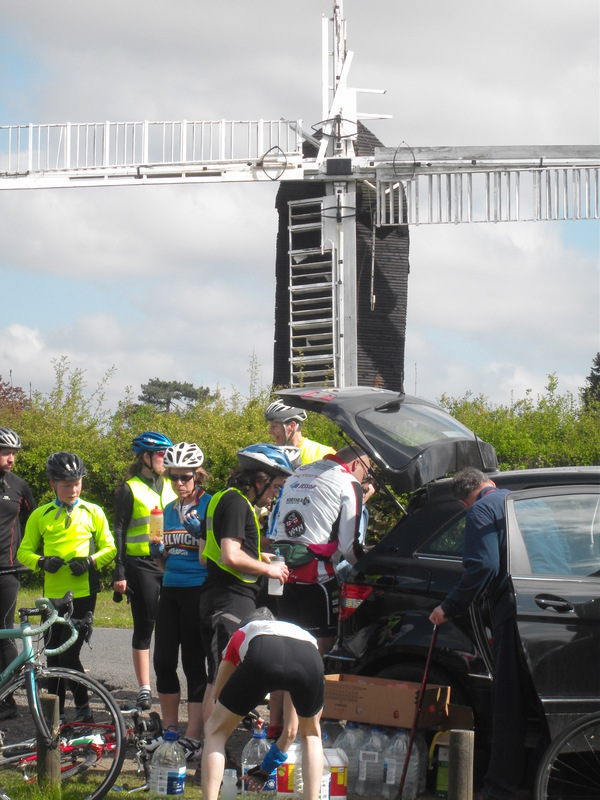 There was even a Doctor Bike on hand to take on maintenance issues. 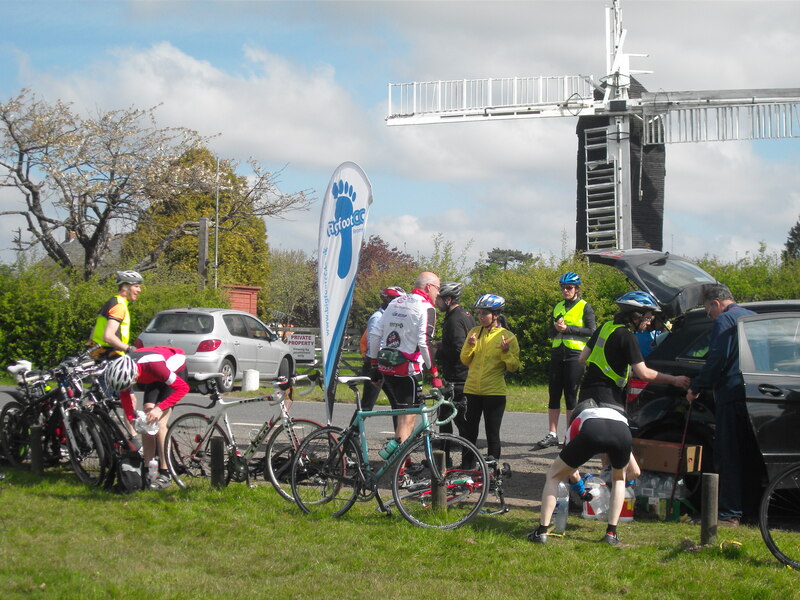 The short stop of Outwood Windmill was not replicated. We lazed here a long time as muscles tightened and joints stiffened. The restart was hard but the steady pace soon had everything ticking over nicely and comfortably ratting along again. 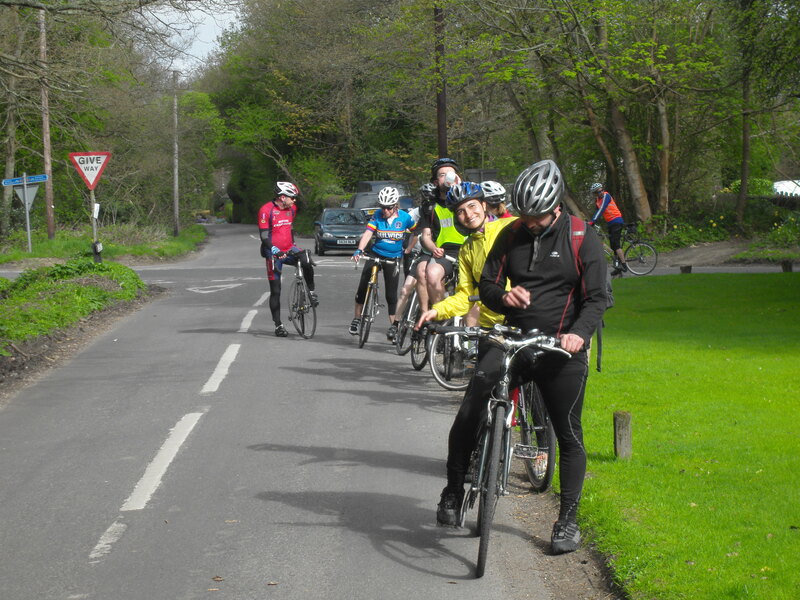 We passed our first road-sign confirming we were on the cycle route to Brighton. An ever present cloud which hangs over any Brighton Ride is the South Downs – there are two names which strike foreboding into the heart of any cyclist; Ditchling Beacon and Devils Dyke. The need to traverse the high points of the downs is caused by the complete disregard shown to cyclists when the A23 dual carriageway was built in the 1960’s – completely excluding vulnerable road users from the obvious route across this massive lump of geology. Absolutely disgraceful really, not so much that they did it in the first place but that half a century later it is uncorrected. 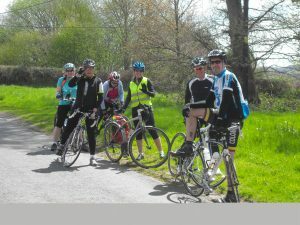 Today’s ride was to take us over Devil’s Dyke. At High Cross we got our first view of the beast and a couple of miles further on we turned onto Devils Dyke Road and began the ascent. Unfortunately someone suffered a double puncture on the way, and so we were delayed at the top in a fresh breeze which chilled us. The final half a dozen miles to the Brighton seafront is downhill. The traffic on this section is pretty unrelenting, you definitely need ‘Your wits about you!’ to borrow a well worn cliché. 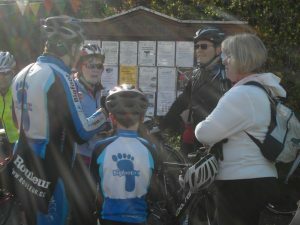 At the seafront we enjoyed a nice cup of tea and regrouped with riders from the other rides and heard tell of their adventures. From here we went our separate ways to hot baths and revitalising leg massages. Content to have been part of something bigger than the sum of it’s parts! !